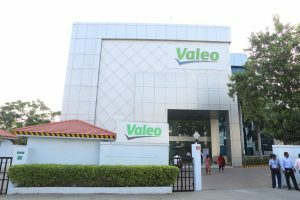 The France-based global automotive supplier, Valeo, is planning to increase its members in R&D in India by 2023. This will make it one of the largest R&D centres of the group under one roof. Valeo, as an automotive supplier is partner to all automakers worldwide. As a technology company, Valeo proposes innovative products and systems that contribute to the reduction of CO2 emissions and to the development of intuitive driving. The group employs 111,600 people in 33 countries and has 184 production plants, 55 R&D centres and 15 distribution platforms. In India, the company was established in 1997 and has 7 manufacturing facilities including 4 in Chennai and one each in Pune, Sanand and Noida. 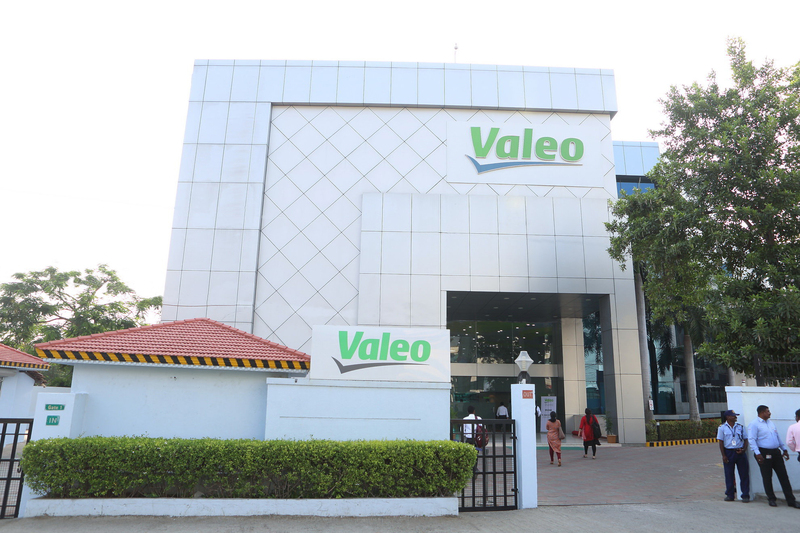 Valeo has plans to expand its facilities in India. It will not be just in the technology side but also in the new trends and products. The company has space in the Sanand facility where the expansion is likely to happen. There are also plans to convert one of the Chennai facilities into a centre of excellence for software. The R&D division leverages the skill sets of immensely talented engineers in India to provide efficient support in the areas of Mechanical Design, Simulation, Embedded Software Development and Hardware and Functional Safety Design to Valeo’s global customers. In addition to providing support, the R&D division is also contributing significantly towards the global product development initiatives of Valeo. This is done mainly to use the strength of Indians and use it for the global as well as local needs. “Compared to its competitors Valeo does not have a long history in India. But, technology-wise it is far superior. Our customers are looking at us as a solution provider. We are getting there slowly. We see a disruptive trend in the global and Indian market. Three revolutions are happening globally: electrification, digitalisation and autonomous. The best part is we are at the centre of all these and we will be able to leverage and take this as an advantage. So, we will be in a better position soon,” Ashok Belani, Group President and Managing Director, Valeo India Pvt. Ltd, told Auto Components India. “By 2012, Valeo had started recognising the availability of the Indian talent, which can be groomed and leveraged for global needs. Today, we have a team of around 1200-1300 engineers. We have a clear roadmap that we have to go to 5000 by 2023. Our head office recognises the abundance of talents across India and we have started to ramp up. With this, a lot of new products are being developed both on the design and software side. When the expansion happens, we will become one of the largest R&D centres under one roof. We want to increase the numbers because of the cost-effective availability of talents and competencies. The frugal engineering mindset of the Indians is also a major attraction for the global team,” he said. Valeo has been in this field for around 95 years. In 2017, the firm was close to 18.5 billion Euro in size. Predominantly, the company is structured into 4 business groups of powertrain systems, visibility systems, thermal systems and comfort and driving assistance. Powertrain systems accounts of EUR 4.3 bn in sales, the share of thermal systems is around EUE 5.0 bn, visibility systems accounts for EUR 5.8 bn in sales and comfort & driving assistance systems is around 3.6 Bn in sales as on end December 2017. Valeo Service is another division that supplies original equipment spares to automakers (OES Market) and replacement parts to the independent aftermarket (IAM). The automotive supplier firm is also a technology company and a solution provider. Around 12% of the original equipment sales is dedicated to R&D. Valeo started in India 20 years ago with two projects. One of them is a 50:50 joint venture with the Amalgamation group for making clutches, and the other is with the Anand group for friction facing for the clutches. About frugal engineering, Belani said, with the increase in demand for components there will be cost pressure and they have to be manufactured in a more cost-effective way. With the frugal engineering mindset of the Indian engineers, people believe that this would be possible. “A lot of people believe that India is cheap but, what attracts is the simplification and frugality of the design. In the global market, the components that we produce are technically superior and they hold commercial sense,” he said. Moving towards the future, the company has plans to be part of 2 different areas. One is the IC engine. For this, the company will continue supporting conventional business with clutches, friction facing of the clutch, dual mass flywheel etc. And, for the electrical side, they have alternators and starters. “In India, we believe in 10 years, we are not going to be 100% electrical. This means there will be a few percentage of vehicles moving to electrification and hybrids. We also see that beyond 2020 smaller diesel vehicles may not be there. This is because making such engines Euro-6 compliant may not be commercially and technically viable. So, they want to focus on gasoline. IC engines may still grow at 5-6% but, they will remain and our R&D department and manufacturing setup will keep supporting it,” he said. The second thing is that the Indian market is shifting as far as powertrain is concerned. Many firms are waiting for a long time for government announcements on policies. The government advice OEMs to reduce Co2 and how they do it is based on the technology they adopt. It can be CNG, ethanol etc. As the global standards keep changing, it does not stop at BS-VI and it keeps on improving. Having the built to print gone design is going to be critical and within the frame electronic and software are going to be more important. “Valeo Indian R&D team has converted an ICE three-wheeler into an electric three-wheeler using 48V, 4kW e-machine as a prime mover along with regen capability as a proof of concept,” he added. Every three-wheeler maker is working in this direction of electrification. Valeo has not acquired any business so far, but is in an advanced stage of discussion. The automotive supplier is also making components for the electric three-wheelers. The firm has motors which are of 4kWh, 8 kWh and are made in its Pune plant. The systems that will come on three-wheelers will be more of 48V. These are not made yet, but once the company has the business it will make it in the existing 12V line. Next is that the motor should have a speed reducer. OEMs have own ideas for the gearboxes and they have the control of it. The motor also needs an inverter and Valeo also does it. For higher voltage requirement for trucks, Valeo plays a big part in electrification globally. But it is not the same case in India. This is because the European firms are in tremendous pressure to come up with e-cars with certain volumes and numbers. If they do not do it within the time period they will be subjected to huge penalties. Valeo also has a JV with Siemens to bring out the high voltage machines. For low voltages, the components are made exclusively by Valeo. Frugal engineering is what the company holds to make products with quality and less cost. They do the design to cost approach and they design with keeping the cost in mind etc. For example, the firm may already have a design in other markets. They take it, do a design to cost approach and bring it to levels what the OEMs require. The other major thing is that the company is focusing on localisation to bring the product cost down. They do it keeping in mind the quality and engineering standard. “The focus is on the carry-over. How much can I carry over from one program to other programs? This is where we bring value to our customers and is where we reduce cost also. Because there is a huge engineering and tool development cost, it helps us to challenge ourselves on cost and we are equally challenged by our customers also,” he said. Valeo is also the largest light manufacturer in the world. It owns a fully controlled firm called Ichiko. The firm is not just looking at LED and has gone beyond that for something called as the matric beam. Belani feels the LED price has to come down and there will even be a break-even point which will make all OEMs to go for it. There are also a lot of things coming up on the cabin lighting. Above all, lighting plays a major role in CO2 reduction too.